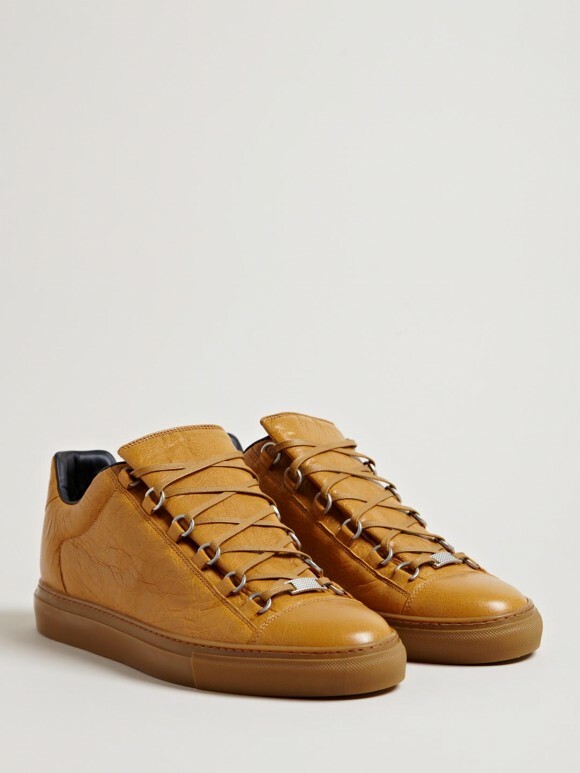 Caramel uppers, black leather lined & finished off with a gum bottom…delicious. 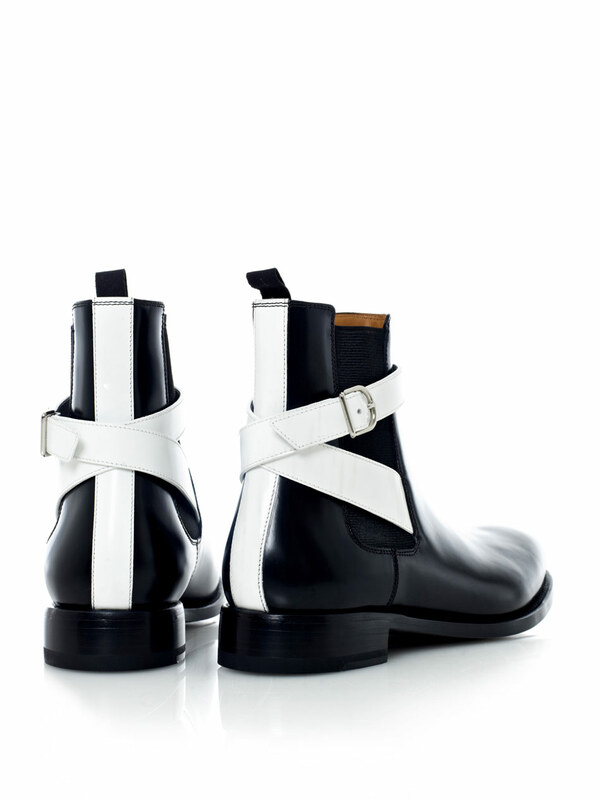 All leather, inside and out – with the exception of the rubber sole. 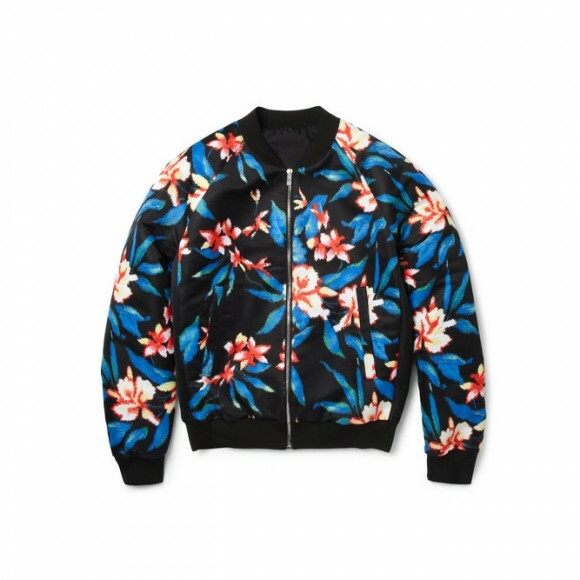 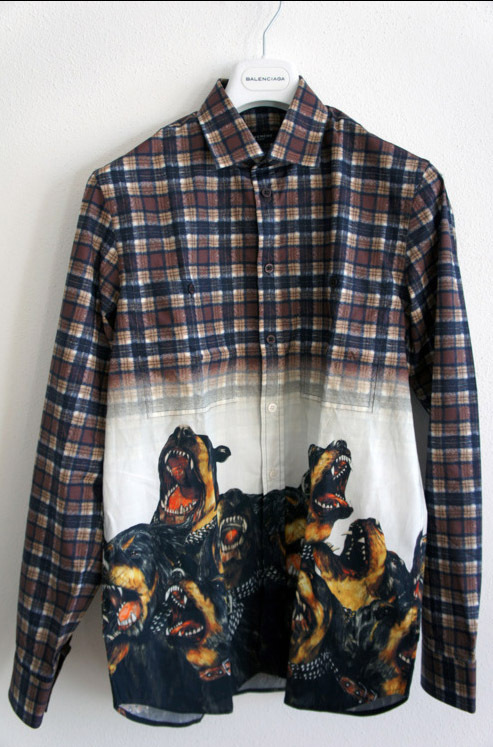 …loves loud floral patterns on bomber jackets. 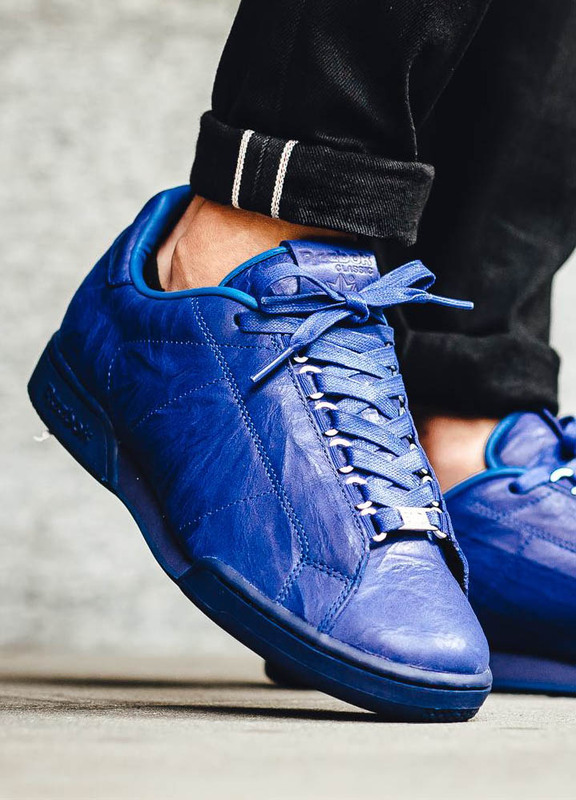 There has been a lot of hype around this sneaker’s predecessor, most if it due to the fact that Kanye West was seen wearing it on more than one occasion. 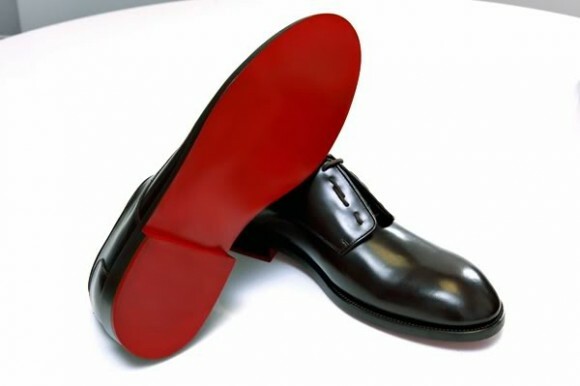 The new version of this shoe will offer creased/wrinkled leather that offers a slight shine. 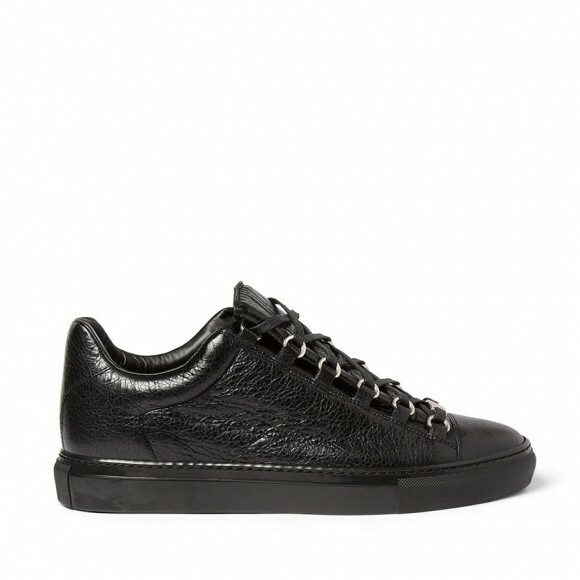 The cap toe sneaker looks clean in all black. 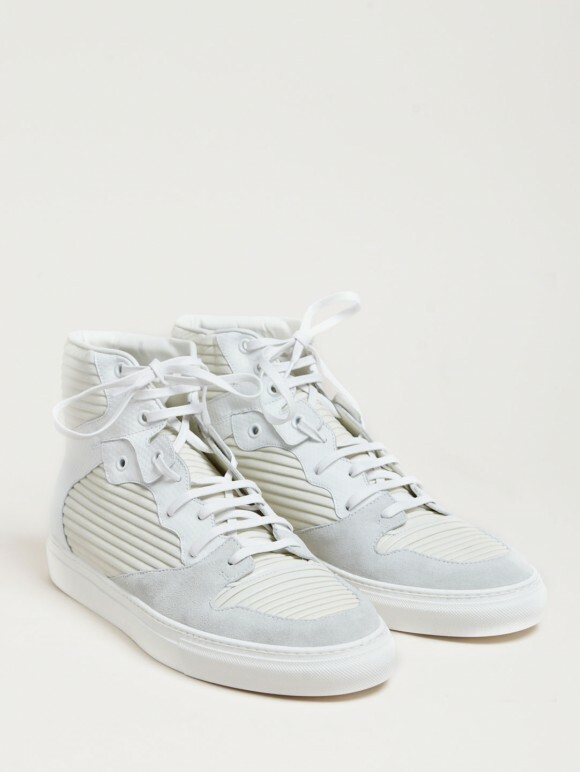 The Arena Creased Leather sneaker is almost entirely black aside from the silver eyelet rings.